Do you know that every day of the year has at least one National Day associated with it? Here at Always the Holidays, we love to celebrate all of the national days with crafts, food and fun ideas. This National Days Guide is your go-to page for all the cool facts about crazy, foodie and fun national days. This page grows every week, as I do new tutorials, round ups and recipes to celebrate these fun days. 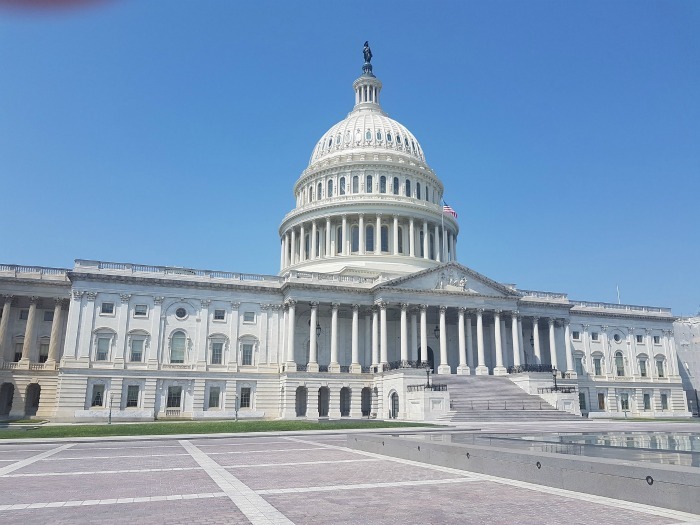 Be sure to check back often to see what new National Day has been added to the list. A national day is a day of the year which is celebrated by nations and countries around the world in a special way. Traditionally, the words “national days” were used to celebrate days when a country became independent, but in modern times, we often use the word for trending and popular topics. 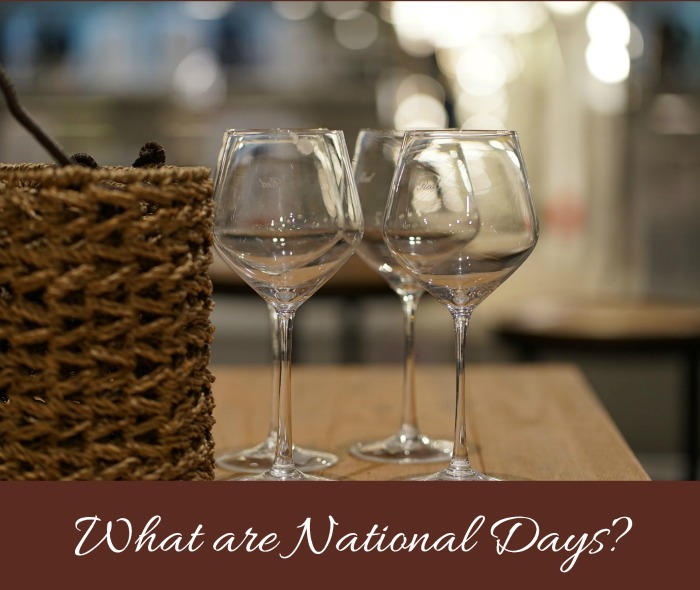 Many of the foodie national days are celebrated with food and drink, but other National Days are observed in many different ways. There are hundreds of popular national days celebrated in the USA and around the world. Some tie in closely with popular national holidays, and others tie in with the weather or with popular monthly trends. There are so many popular days out there, that it’s next to impossible for a single site to list them all. Here at Always the Holidays, I choose the ones that fit in with some of my own personal likes – food, drinks nature and decor. Both holidays and national days can be either official of unofficial. In order for it to be an official day, it must be sanctioned by the government. Many of the national days are unofficial – i.e. a person or a company came up with the day it and it just took off with other people. There is even a day (March 26) called Make Up Your Own Holiday Day. This day is for people to think up of a thing, person, animal, phrase, or food and create a holiday to celebrate it with their friends. Many times national days become popular because they are celebrated on Social Media with special hashtags. #nationalday #internationalday are two and each National day also has its own hashtag. More and more companies and websites are now allowing people to submit ideas for new national days. Chase’s Calendar of Events is a definitive day-by-day resource of events that are being celebrated in America and around the world. Founded in 1957, Chase’s observes its 60th anniversary with the 2019 edition of the Calendar! 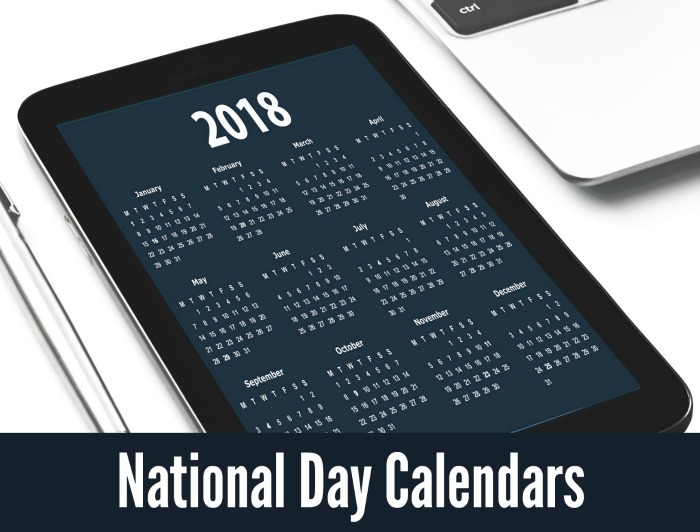 With so many national days to consider, I have divided my list of the pages of information about the various national days into main topics to make it easier for you to find your favorite. This page is updated almost weekly with new information as I add new posts to the site. Be sure to keep checking back to see what is new this week. With so many tasty food ideas, it’s no wonder that many national days are associated with food in some way. And since, I love to eat, it’s no surprise that many of the National day pages on my site focus on food. Check these tasty national days for some inspiration for your next gathering. Start the year out in a tasty way by discovering some new recipes for National Spaghetti day on January 4. This rich dark chocolate is used in cooking and for a tangy snack. Find out all about National Bittersweet Chocolate Day, (celebrated January 10) here. Cook up a bowl of steaming hot chili to celebrate National Chili Day on the fourth Thursday in February. March 1 is the day to celebrate National Peanut Butter Lover’s Day. It’s almost spring, and a good time to celebrate National Johnny Appleseed Day with these tasty recipes. Love carbs? Be sure to check out National French Bread day on March 21. Get out the griddle on April 12 to celebrate National Grilled Cheese Sandwich Day. Maine is the home of the blueberry production. Check our this tasty recipes for Blueberry Pie Day, celebrated April 28. It’s party time on March 23! Serve up one of these delicious National Chip and Dip Day recipes. Time to raise a glass and celebrate. March 24 is National Cocktail Day. Chocolate Covered Cashew Day – Everything goes better with chocolate, not just cashews. Girl Scout Cookie Day – Celebrate this tasty national day with one of these Copycat Girl Scout Recipes. Homemade cookie day – Who needs an excuse to bake cookies? Set some time apart on the first Monday in April for Sweet Potato Day. Pour yourself a cold one to celebrate National Beer Day on April 7. This breakfast treat is so popular it has two days names after it! Check out fun facts of International Waffle Day and also National Waffle Day. The first Thursday in April is celebrated as National Burrito Day. Time to get some recipes ready for Cinco de Mayo next month! Treat your family to a sweet start for breakfast with these recipes from National Cinnamon Crescent Day on April 10. Start your next party off with a bang with these recipes for National Cheese Ball Day on April 17. Grab a glass of America’s favorite drink on May 8 for National Have a Coke Day. Join me on May 9 and get baking for National Butterscotch Brownie Day. These recipes are super tasty! May 10 is the time to celebrate National Shrimp Day. Find out about this tasty crustacean and get some recipes. Time to tempt your sweet tooth. National Nutty Fudge Day is celebrated on May 12. Bake up a batch of biscuits for National Buttermilk Biscuit Day on May 14. It’s time for some home style Southern Cooking! June 2 is celebrated each year as National Rotisserie Chicken Day. Grab one and make some of these recipes. These lucky foods for New Year’s Day are supposed to bring good fortune to you all year long. White Chocolate Day is September 22 – These tasty dessert ideas will tempt your sweet tooth. Who doesn’t love National Chocolate Day? it is a great time to make these Oreo mummy pops! Celebrate National Pasta Day on October 17 with one of these Pasta Recipes and some fun facts. National Nut day is October 22. Make some toasted pecans to enjoy as a snack. Chocolate, hazelnuts and yum all in one tasty “nutella” pudding pops! Today we make a switch to do it Paleo style. Perfect for National Nutella Day. October 29 is National Oatmeal Day. Try these caramel apple oatmeal bars for a tasty dessert. 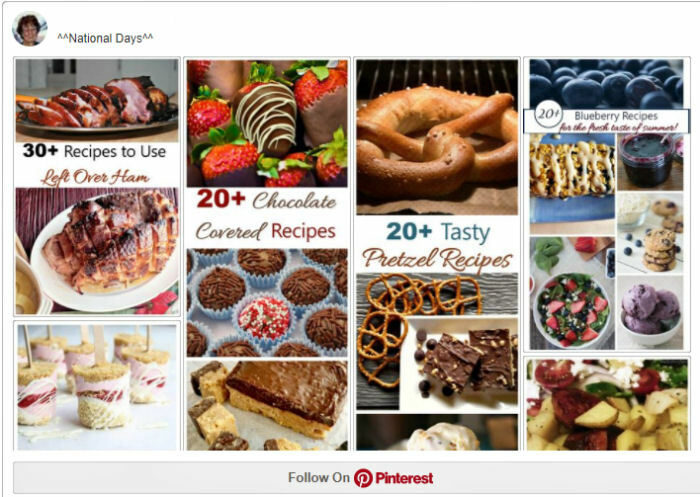 You can add pretzels to recipes in so many ways! Find out more about National Pretzel Day here. November 4 is National Candy Day. Get some fun facts and home made candy recipes. Each of the holidays have their own traditional day on the calendar, but around holiday time, there are also many national days that celebrate one aspect of them. Wondering why gingerbread is associated with Christmas, or pumpkins go with both Thanksgiving and Halloween? 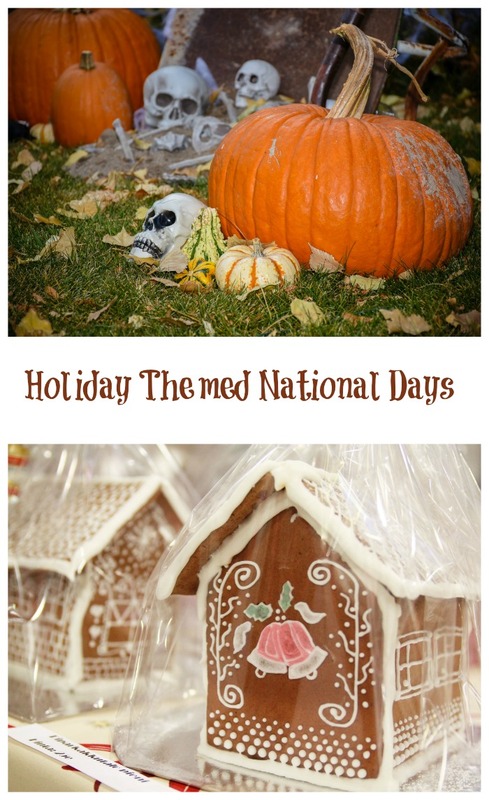 Check out these holiday themed national days for more information. National Gingerbread House day is December 12. This posts will give you some inspiration for your project. Round up of Gingerbread houses. 14 Amazing Gingerbread house ideas. 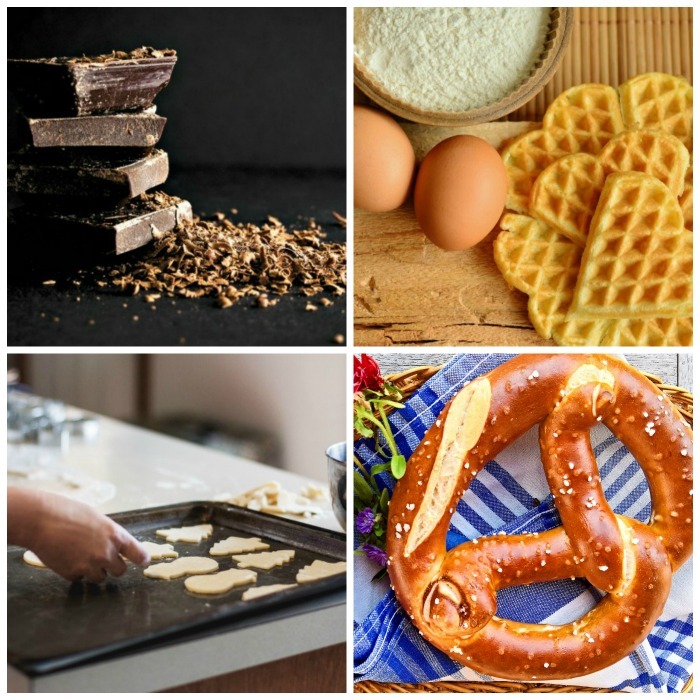 Recipes to celebrate Oktoberfest, a European Fall holiday that is observed around the world. Celebrate Pumpkin Cheesecake Day for the Thanksgiving holiday with these Pumpkin Cheesecake Muffins. What would the holidays be without ham? Use up those leftovers from the holidays with one of these recipes for National Glazed Ham Day . Cinco de Mayo is a great time to celebrate National Tortilla Chip Day . Check out one of these delicious recipes for home made tortilla chips, nachos and dip ideas. 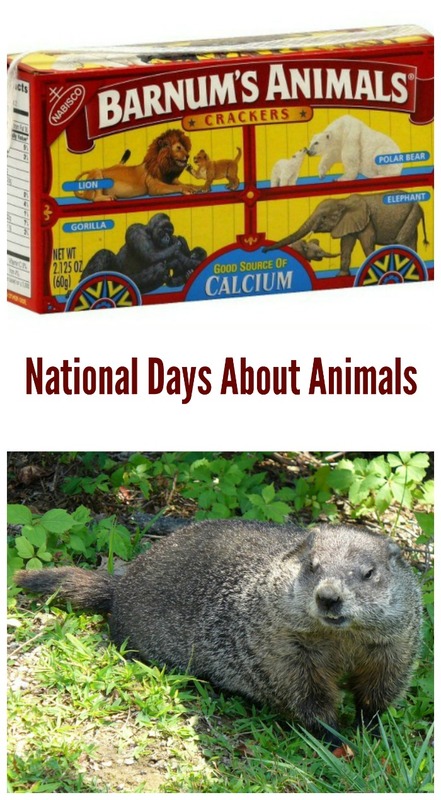 Animals are a popular topic when it comes to celebrating National Days. This category is new to my calendar. Be sure to check out soon for more national days articles about our furry and lovable friends. Animal Cracker Day is such a fun day. Kids and the young at hear will enjoy celebrating with one of these fun recipes. April 2 is celebrated as National Ferret Day. This highly intelligent animal has been domesticated for centuries. Find out more about the ferret. Bond with your furry friend for National Pet Day on April 11. Buy a treat, take a walk, visit a shelter! Grab a blanket and a picnic basket on April 23 for National Picnic Day. The last Saturday in April is honored as Go Birding Day. Get your binoculars and go bird watching! Will Punxsutawney Phil see his shadow this year for National Groundhog Day? Find out all about this fun national day. Get some fun facts about the mythical creature unicorn on April 9 for National Unicorn Day. Time to Take care of the planet for National Earth Day each year in April. 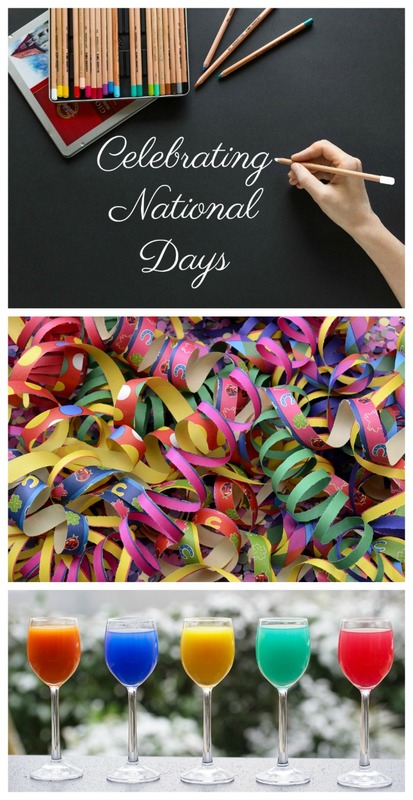 If you enjoy reading and celebrating all the national days as much as I do, and want some more some inspiration, be sure to check out my National Days board on Pinterest. It has loads of pins for articles about the topic. I’m currently putting together a calendar for each month of the year as a place to learn about all the national days of the year. Check out these pages for the calendars that I have finished. National Days in February – See why It’s not just Valentine’s Day this month! March National Days – Find out about St. Patrick’s Day, Puppy Day and so much more. List of National Days in April – National garden month, Zoo Lovers Day, Earth Day are all great reasons to celebrate. Calendar of National Days of May – Mother’s Day, Memorial Day and many more memorable days. National Days of June – Father’s Day, Flip Flop Day and the Great Outdoors! List of National Days in October – Halloween, black cats, pumpkin carving and caramel apples. November National Days – Thanksgiving, Cookie Monster, Peanut Butter Fudge, Pumpkin pie and more. There are almost 2000 national days and holidays. Don’t miss a single on of them. 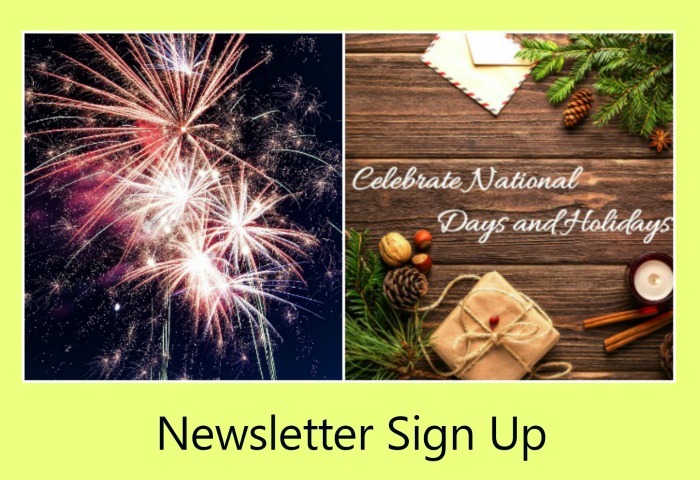 Sign up for my newsletter to get information on all these special days delivered right to your inbox.